Optical Women's Association - What is the Optical Women's Association's Pyxis Award? What is the Optical Women's Association's Pyxis Award? PYXIS is a constellation in the southern sky known as "The Compass". The PYXIS Award is presented to a member of the OWA who actively participates in the organization and promotes the OWA throughout the optical industry, contributing to OWA's continuing growth. The recipient of the PYXIS Award is exceptional in her commitment to support and develop the OWA. She helps set direction of the organization by her actions and inspires by her leadership. 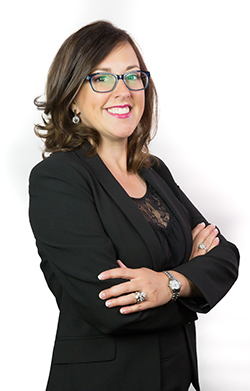 Recently nominated in Vision Monday as one 2018's Most Influential Women in Optical, Laura Lewis currently serves as the Vice President of Human Resources with MyEyeDr. where she focuses on talent development and strategic growth as just a few of the primary functions of her role. With a background that spans several industries including banking, insurance, and optical, Laura is an active member of the Optical Women's Association (OWA), is a Sponsor Ambassador, and is a current member of the OWA Mentoring Committee. Recently, Laura was named OWA Sub-Committee Chair of the Sponsor Ambassadors due to her meaningful work and contribution to fully developing the Sponsor Ambassador role. As one of her many passions, Laura is truly committed to not only the support and development of the Optical Women's Association, but also to the growth and development of its many individual members. Some of her proudest moments have been playing a role in the career growth opportunities of personal friends, close colleague, and acquaintances. She recently recorded a Tuesday Talk for the OWA titled "Shine and Sparkle: Interviewing with Intention." Simply stated, she has a passion for seeing careers of all types "take flight." A graduate of James Madison University's School of Business, Laura believes in building self-marketing strategies for women of all ages and professional experience levels. In addition to her time spent with the OWA, Laura enjoys spending free time with her 2 teenage sons, traveling, and volunteering.